It is interesting that the institutional veiling of women as an initial attempt to control them and limit them to their houses has resulted in liberating some women to get involved in the public section of the society, esp in Iran.It was eye-opening to know that in places where the mutilations of women's bodies and other such violences against women are practiced , it is mostly a sign of fearing women's power or women on their own as unknown beings.I was not aware of the incentives such a society pours on its women to pacify their frustration with the institutional veiling. She has only mentioned this with no clear examples. Maybe only one: when the society tries to give more respect and glamor to the veiled woman than to the less veiled one.As Milani has mentioned, veiling has been predominant in the history of Iran, even before Islam; and been used not only by authorities to control women, but also by women themselves as a means to impose their will at different stages of their political and social life. On the whole it was a hard read and can be categorized as an academic book.Also she refers to two contemporary attempts on forced unveiling by Reza Shah and institutional veiling of women in Iran as respectively a shot for modernizing women and a stab at controlling and politically manipulating them. The latter effort in another hypothesis can be a reaction to women's gradual empowerment in the aftermath of the first bid.Historically,anti-veiling Iranian women today are resisting the force from the establishment restricting them in any which way. Any book which helps us to have a better dialog with the rest of the world and get them to know us is good. Thanks Mrs. Millani. Farzaneh Milani - Farzaneh Milani is professor of Persian Literature and Studies in Women and Gender at the University of Virginia. 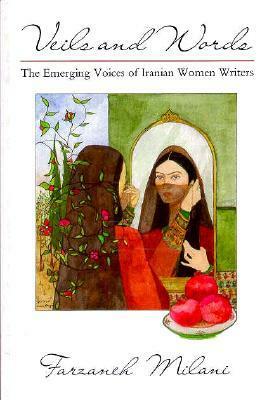 She is the author of Veils and Words: The Emerging Voice of Iranian Women Writers and the coeditor and translator of A Cup of Sin: Selected Poems by Simin Behbahani.